I don’t watch rugby much these days. I saw 3 games this last season. The last one was a bit special. Glasgow Warriors (one of Scotland’s two professional teams) reached the final of the RaboDirect Pro 12 – their league competition which involves Scottish, Welsh, Irish and Italian teams. I’d wanted to see their semi final in Glasgow, but I was driving to Blackburn the next day to see my son play ice hockey – an 8 hour round trip. I couldn’t face both journeys so close together. 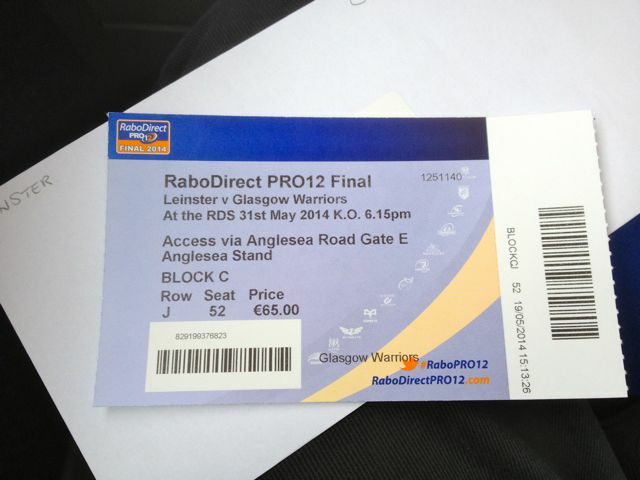 When Glasgow won their semi, I did look at a trip to Dublin for the final against Leinster. It seemed impossible to do it on a sensible budget without a 10 hour round trip drive to get a ferry in North Wales. I dropped the idea. Reluctantly. It was a reluctant decision because I’ve been watching Scottish rugby since I was at primary school. In those days schools could access special seating (at discounted prices) for Scotland home games. In close to 5 decades of watching, Scotland had only ever won the championship twice. So here was a Scottish pro team in a final for the first time. Then 3 days before the game I saw on Twitter that the Warriors were offering a few last minute seats on one of the club’s charter flights. It was the flight for injured squad players and those not selected, the wives and girlfriends and the sponsors. A day trip. 12 seats left. No expensive hotel or boozy Dublin nightlife. Next day I gave in and booked. It was quite an experience. We arrived in Dublin late morning, and the game was at 6.15pm. The weather was warm and sunny. 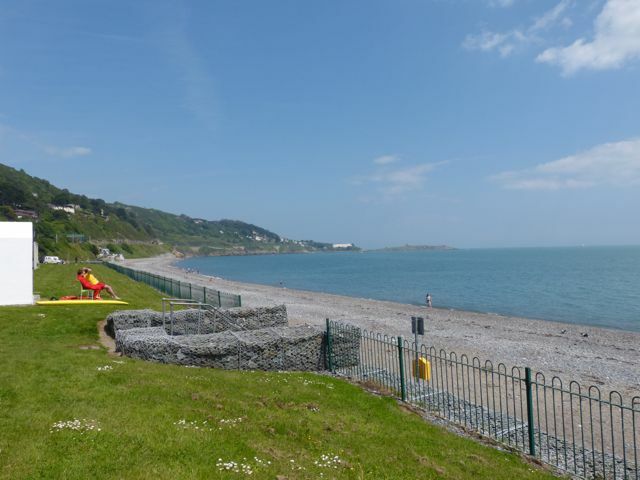 I decided to put the time to good use and took the train south to Killiney, planning to walk back to Dalkey have a late lunch and then head back into the city for the game. It turned out to be a good plan. 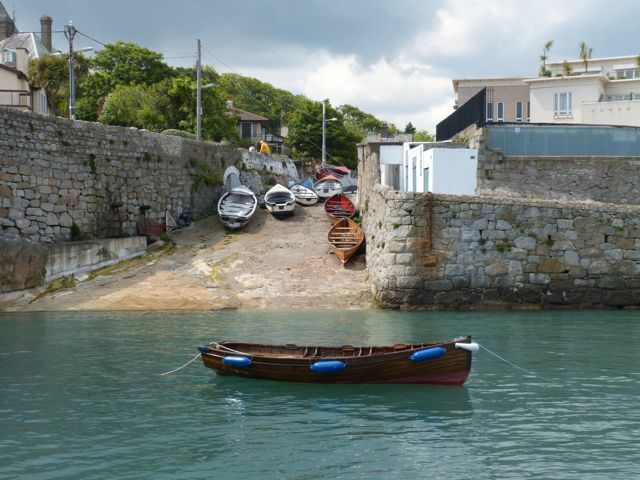 Dalkey is kind of expensive as a place to hang out – my pizza cost me €14.50 – but it is a lovely wee suburb. The game was disappointing. Glasgow competed well for an hour, but then made a series of errors which let Leinster run away with a comfortable win. It was a great occasion nevertheless. The flight back to Scotland was scheduled for 11.30pm, but a technical problem meant the plane had to be replaced and it was 3am by the time we got to Glasgow Airport. I was home for 4am. This entry was posted in Dublin, sports. Bookmark the permalink.